Need help with customizing the default intake form in your Bodywork Buddy account? This video walks you through the basics of changing your form. Cindy Iwlew is a licensed massage therapist who has had a private practice since 1999 and cofounder of Bodywork Buddy massage software. I like to mention details like parking at my studio, etc in my email. But you could also use this space for more specific wording about their appointment or your policies. *Depending on what you have your reminder settings set to. While this wording is more for a phone call, I love the idea of offering an upgrade at the time of a reminder! You could easily adjust this wording for your email reminders and mention your upgrade services as an option. I’ve recently added the doTERRA Aromatouch technique to my services and plan to use this suggestion to offer that as an upgrade to clients in their reminders. Gael also wrote an article for Massage Magazine last year about using scripts to improve sales. Do you offer email or phone reminders to your clients? What wording has worked well for you? 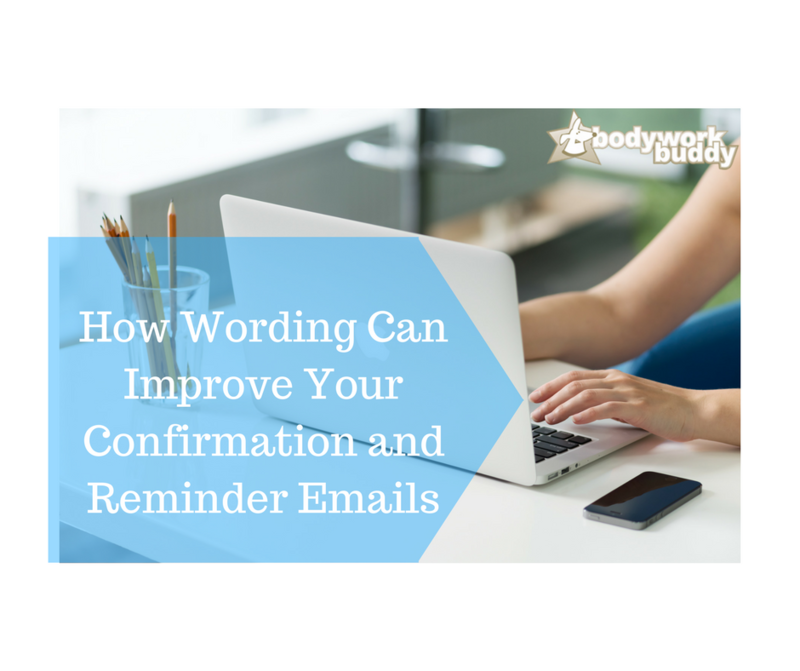 If you don’t already have automated email reminders, check out what Bodywork Buddy can do for you! This post written to the tunes of the '70s. Well, good news. There's a new school of thought on what makes a strong password. Previously, security experts recommended the use of password manager apps to ensure users' accounts were protected. It's suggested to have a password manager. There are lots of useful apps available to store your passwords and make your life easier. 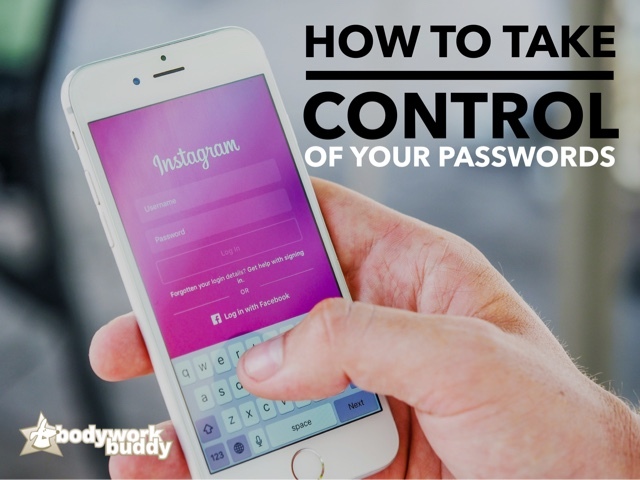 That combined with the new rules for what makes a strong password, I think we can all breathe a little easier and stop putting so much energy into creating and remembering our keys to all of our accounts! When I ran my referral program, I used paper to track it because technology hadn't gotten caught up with us yet. This was before smartphones, Bodywork Buddy, etc. i.e. all of the tools that make running our practice so much easier these days! BWB has always had the ability to track referrals from within each client file so you could see who they referred and who originally referred them. But now we've added a referral tree which is a great visual to quickly see all of your clients and who they've referred at a glance. So far, it's been a big hit with our members! What kind of referral program do you offer clients? 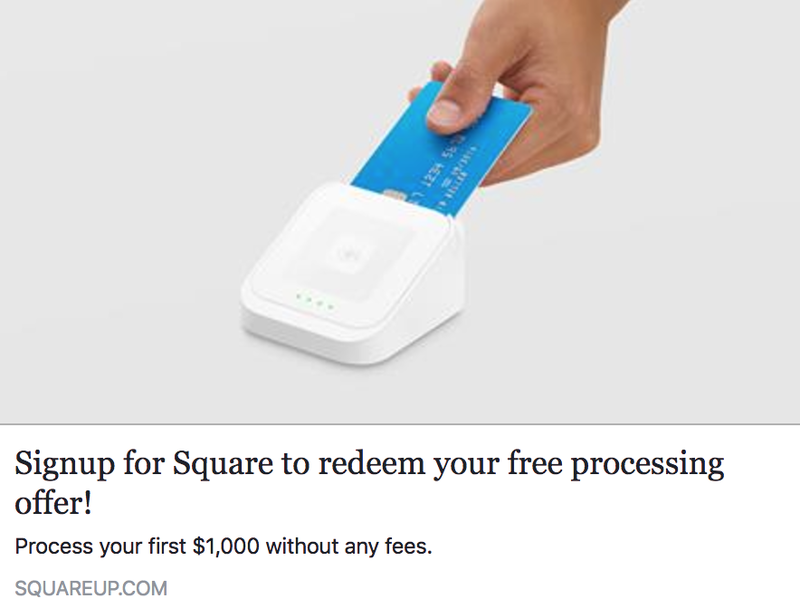 How many new clients have you gotten from it? I'd love to hear about your own experience with referral programs in your massage business - comment here and let me know. 🐶 Iggy wants to know, too. Iggy is the branch manager and helps keep Cindy on track with balancing out computer time with playing outdoors. I’ve been a fan of Bodywork Buddy (BWB) for a long time. Because I knew of many of the features they offered, I hopped on board on December 31, 2012. This gave me the opportunity to start fresh in 2013, enabling me to view current up-to-date reports right from the beginning of the year. While there are a ton of features to list, one of the things I’m most impressed about is owner Cindy and Berin Iwlew’s willingness to not only listen to what their users suggest, but to thoughtfully respond with positive action. Cindy and I have both been massage industry for a long time, about 20 years for each of us. In fact, she’s the one who originally turned me on to online scheduling, long before Bodywork Buddy began. There were many limitations of that option and virtually no reports you could run. Many companies at that time also had programs you could purchase and download onto your computer, but you’d have to have that computer with you to schedule or add in any comments or SOAP notes. Finding the same limitations that I did but with Berin’s prowess in programming, the Iwlews set out to give massage therapists an online solution. Not only would it have the same features as other programs, but they added in everything Cindy had on her wish list. I loved the idea from the get-go. The only reason I didn’t hop on board sooner was that BWB required internet, which I didn’t have at my office at the time. 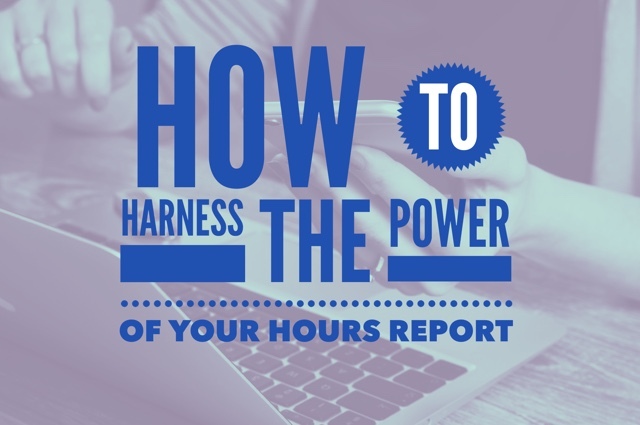 Today I’ll just talk about my favorite new cool feature, the Hours Report. One feature they’ve added recently is super cool-reporting of how many hours you’ve completed in each style and session length of massage you offer. I think I was the first one who promptly ran a report and posted it on Facebook! You can run in for the current year, any year you’ve been using BWB or a total of all years. Your most popular sessions will begin at the top and work your way down. In my case, I had a price / name change, which is why it shows 2 different items that appear to be almost identical. I had never kept track of my massage sessions before. Because I specialize in Ashiatsu and heavily promote that, I knew that my 90 minute session would be at the top of the list. Interestingly, I had no idea that my 2 hour sessions outweighed my 60 minute massages. If you have a modality that you love doing but isn’t near the top of what you actually have been doing, it’s a fantastic way to come up with a promotion so you get that service up at the top of the “hours you’ve massaged list”. Another thing you can discover is your number of hours you average per week. Simply take the total number listed at the top of that year’s report and divide by the number of weeks so far in the current year. *Update: this is now a feature that automatically shows the average at the bottom of the dashboard. Yah, no math required! If you’ve been with them for a calendar year, just run the report and divide by 52. You can see trends from year to year as to how your business is growing. Or perhaps it stays steady because you have a lot of regular clients. Whether you view this report as just a fun “thing” or you use it to detect patterns and trends in your business, this feature is a hit in my book. 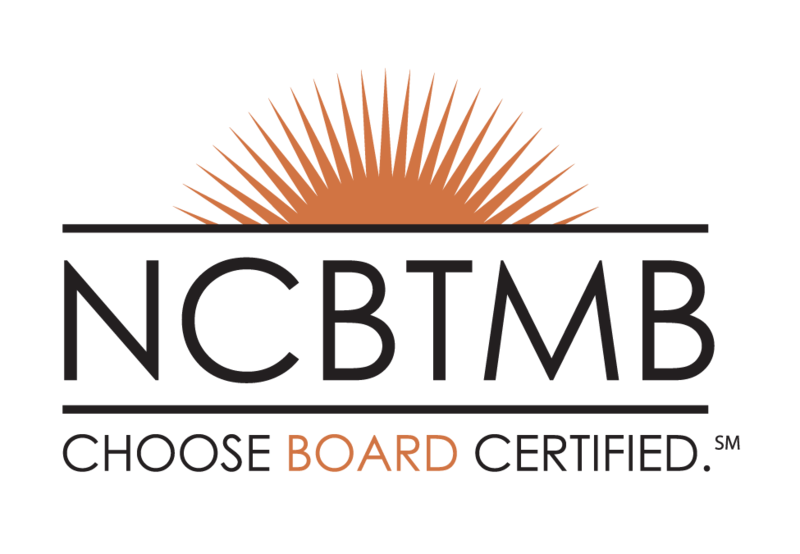 Mary-Claire Fredette has been practicing the art of ashiatsu for 15 years and is a Co-Creative Force at the Center for Barefoot Massage, where they offer continuing education to LMTs who want to learn the skill of barefoot massage. She lives in Cincinnati and co-owns Affinity Massage Studio with her husband, Paul. They have 8 children, 1 turtle, 1 outdoor cat, and 2 rescue German Shepherds. How Do You Know If Your Client Got Their Email Reminder? 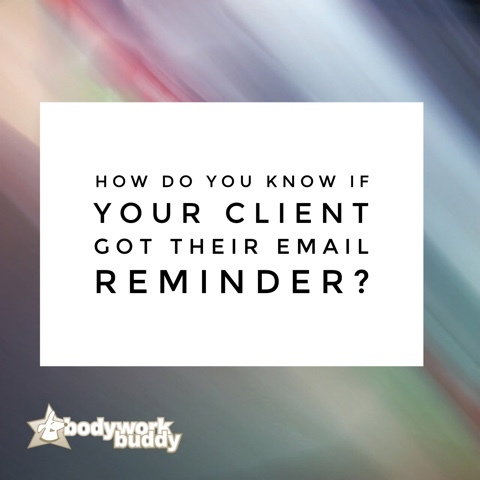 Bodywork Buddy has always had an email log so you can see when your clients received/opened their reminder emails. 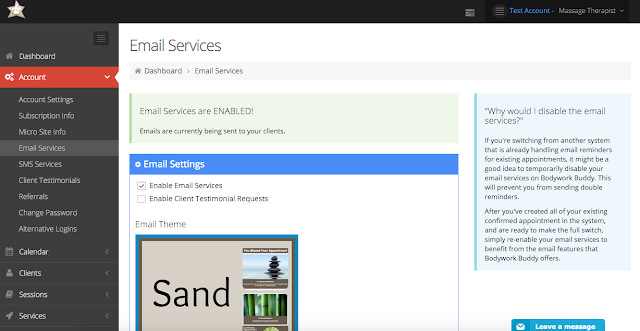 (Accessible from dashboard > account > email services > scroll down to email log.) Last I knew, no other online scheduling service offered this. While it's a handy feature, we've had some members request a quicker, more "at-a-glance" way to see if clients haven't received or opened their email reminders. So we've implemented a new envelope icon in the calendar next to the client's name. An envelope outlined in white shows that the reminder has been sent, and the envelope will turn to solid white once it's been opened by your client. Pretty cool, right? Our members have been enjoying this feature for a few weeks now and the feedback has been pretty great. Easy to do within BWB. Enable SMS services, have clients opt-in by texting the word "START" to 269-509-4288, make sure client's mobile number is on file. Have a cancellation / no-show policy and make sure clients know about it. You can have your policies show within your email reminders, and you can also choose to have clients agree to your policies when they schedule online from your microsite. Train clients from the beginning that you might not be able to get them back on the schedule immediately if they miss or cancel their appointment. You might be surprised how clients will be able to make it work once they realize they won't be able to get back in for several weeks. I discovered this by accident when I was so busy that I really was booked out for a month in advance. Clients started saying that they didn't dare cancel, because they knew they wouldn't be able to get in until next month. Even if you're not booked out for weeks in advance, you can show less openings in your schedule using Bodywork Buddy's "optimized time slots" feature. It only shows openings immediately before or after existing appointments, not only cutting down on large gaps in your day - but also creating a scarcity of available appointment times. Do you have some useful tips to help cut down on cancellations and no-shows? Share here in the comments, I'd love to hear what has worked for you! I've been a massage therapist for a loooong time. I've had lots of massage friends/colleagues get heavily involved in essential oils over the years, and while I've always enjoyed oils, I just never really got into them. Or at least, not at the level my friends did. (You know, basically carrying around a case of them everywhere they went.) I always thought "yeah, that'd be cool, but I just don't have the <time, money, energy, knowledge> to get into it right now." I'm in love with diffusing and roller bottles! Who knew? I'm not to the point of offering any for resale to my clients yet, but it got me thinking about the MT's who do sell oils or other products in their practice. 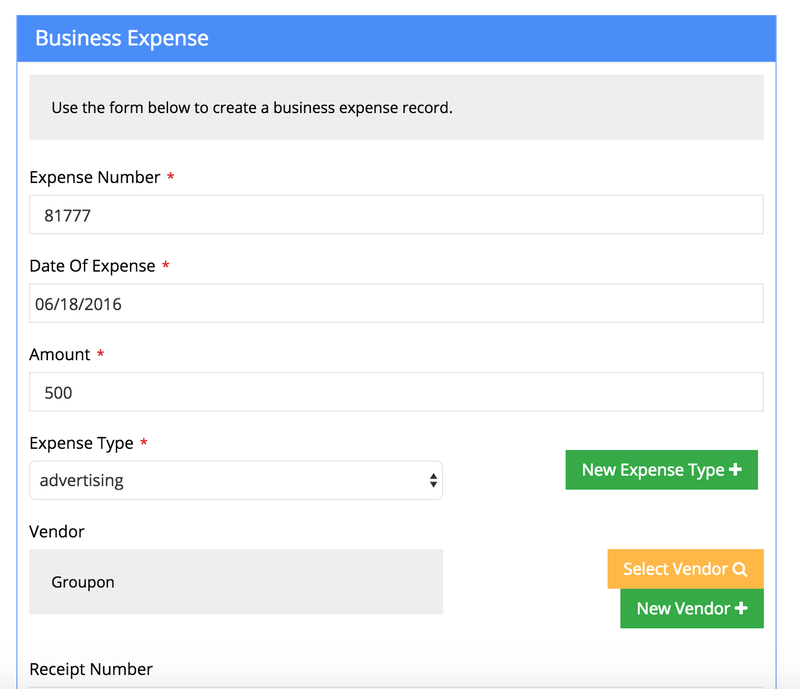 Wondering how to track your sales and record income from that? It's actually pretty easy to do within Bodywork Buddy. 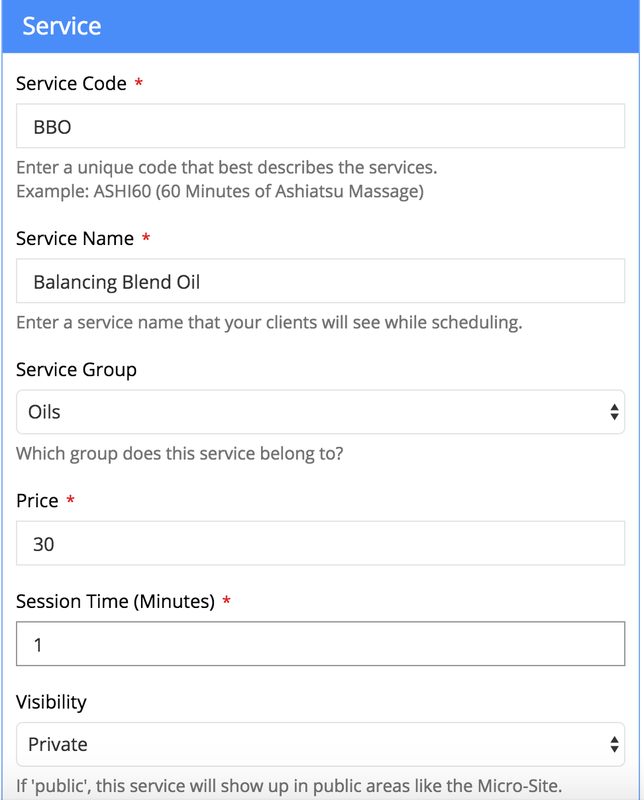 First, create a service group of oils or whatever product you're selling. Second, add products (called services in BWB) into that service group, and have them set to "private". This will keep them from showing on your online scheduler as an option to schedule, but will still allow you to add them to a session record when a client purchases one. When a client buys an oil, simply create a new session record for the sale with the product as the service. Or, add a 2nd service line item in the session record for their massage appointment. You can run a services report at any time to see how much of what product you have sold over the year. *Note: there is no way to track inventory within BWB. So if you have a huge amount of products in stock, this might not be the solution for you. But if you're a solo massage therapist like myself, this works great. Thanks to Susan for this great pin! I've been creating my own roller bottles and thought I would share a little recipe with you I found on Pinterest. It's pretty yum. 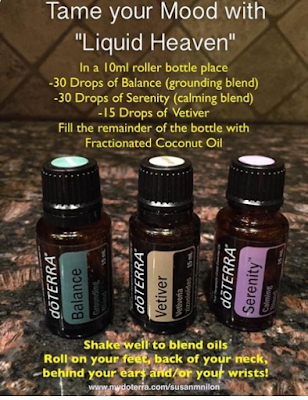 Fill remainder of the 10ml roller bottle with fractionated coconut oil, shake well and roll on to feet, back of neck, behind ears, or your wrists. I've also found a cool podcast about aromatherapy where I can learn more while doing housework or working in the yard. ;) Gotta love that. Thanks to Hillary Arrieta of Gaia Bodywork for sharing this with me! So once I get more knowledgable on oils, I'm going to start offering them to clients and tracking it within BWB. In the meantime, I'm off to play some more with my new hobby. I made a roller bottle recipe for heartburn for a family member and it's working wonders. So I'm a goner now. I will be that girl with all the oils, annoying everyone she knows with "have you tried essential oils?" and I CAN'T WAIT. I will be that girl with all the oils, annoying everyone she knows with "have you tried essential oils?" 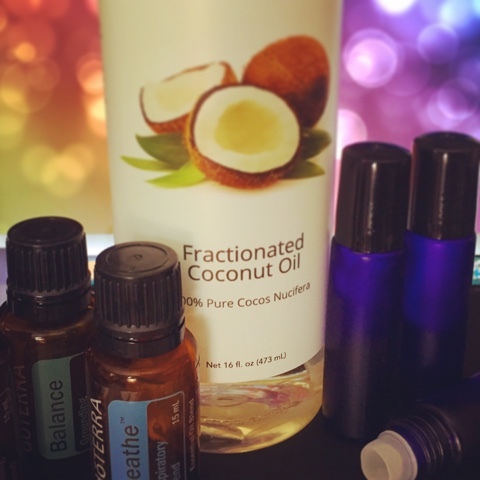 What are some of your favorite oil blends or what are some of your success stories with oils? Let me know in a comment here so I can try it out! 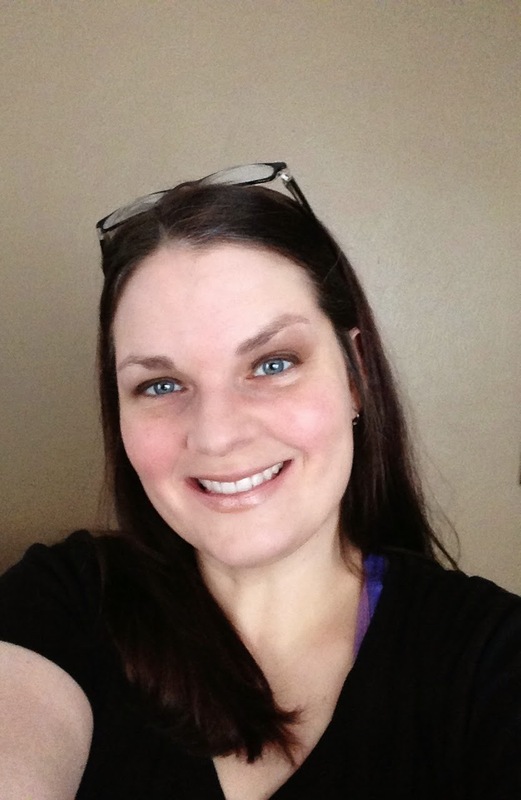 Cindy Iwlew is co-founder of Bodywork Buddy Massage Software, a complete online management solution for independent massage therapists that includes online scheduling. Wondering how to track sales and redemption of services you've offered on a deal site? 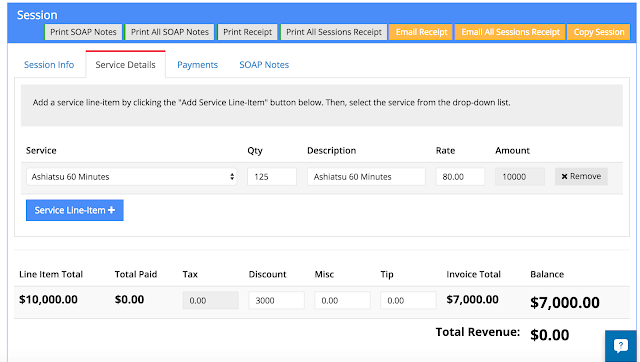 While not all deal sites are the same, with some basic information from your deal you can record it in Bodywork Buddy to add toward your income and also track redemptions. 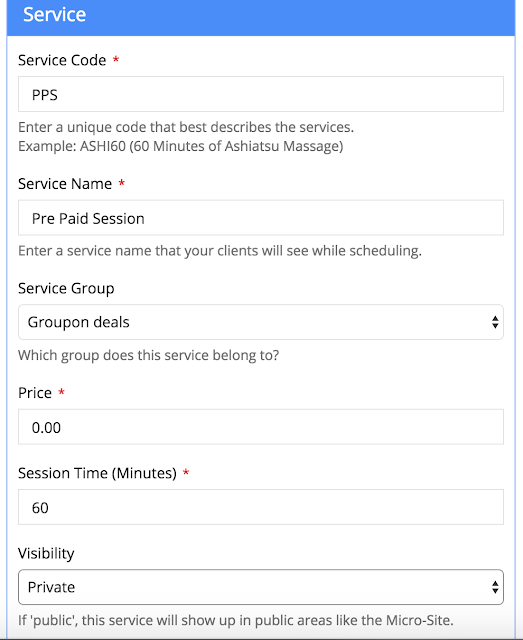 Once you know how many deals have been sold, create a session record for the client Groupon, with X amount of services sold (using your regular services at full price). Enter a discount in the discount field equaling the discounts given for the deal, and then record the payment from the deal site. Create a service (set to private) of "prepaid sessions" or "groupon deal", etc. with the price of $0. 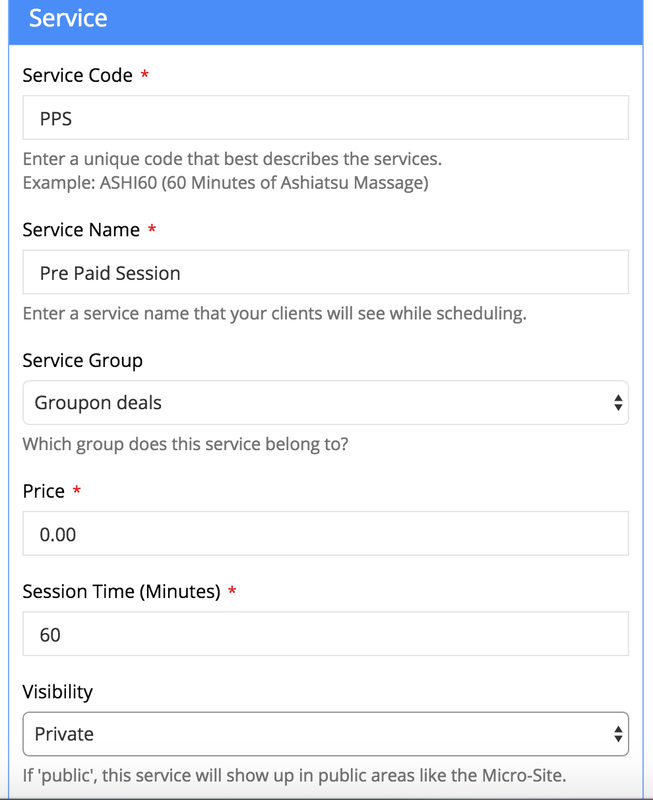 When a client redeems one of your deals, set the service to the private prepaid session service. The balance for the session will remain zero, but you'll still have a record of when the client had their session. Use the deal site to track how many have been redeemed altogether. If using the online scheduling aspect of Bodywork Buddy, massage therapists can greatly cut down on phone tag with clients and the back and forth of trying to get an appointment time that works for both client and therapist. 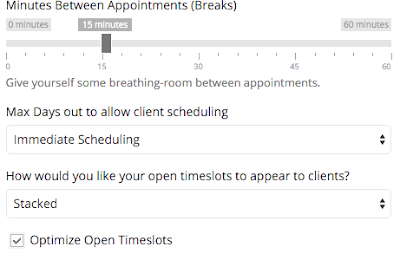 The online scheduler will show open appointments in real time to clients looking to schedule while still allowing the therapist to keep control over their schedule. Clients want the convenience of online scheduling, so not only does it eliminate phone tag but it gives your clients what they want! BWB actually makes it really easy to make recording your income a daily habit. And if you don't do it for every session? Those sessions will stay on your dashboard as overdue appointments so you'll remember that you still need to complete those and add payment info. Policies are included on the email reminders sent to clients, and you can also add them to your online intake forms for clients to agree to. It's important to have clear boundaries and policies, and BWB helps you enforce those. Do you know where your business is for this quarter? This month? How have you grown since this month last year? BWB makes it easy to find out with just a few clicks. "Oh you have a gift certificate but you didn't bring it with you or you don't know the number? No problem! I have it on file." Having a professional online presenceThe BWB microsite design has been made specifically for massage and to help you have a professional online presence. With massage specific images and videos, our online scheduler helps show clients what you do and how you can help them. You can also add your own images and text to completely personalize your microsite. 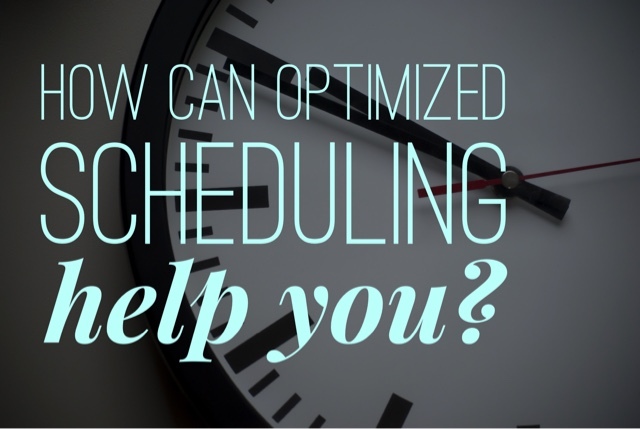 How Can Optimized Scheduling Help You? 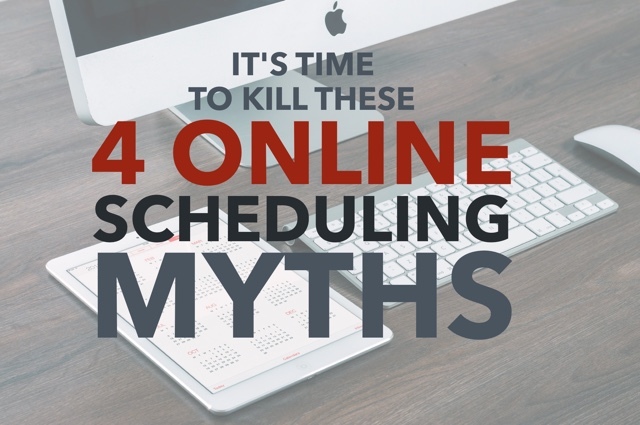 I recently wrote a blog post titled "It's Time To Kill These 4 Online Scheduling Myths" in which I talked about therapists who are afraid they will lose control over their schedule if they make the switch from paper. 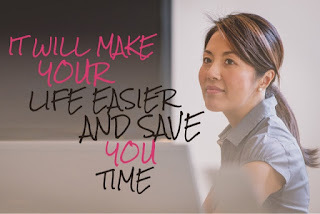 A fellow MT commented that she likes to cluster her appointments together so that she doesn't have large gaps in her day and she didn't think there was any online scheduler that could offer her that option. This is actually exactly what Bodywork Buddy's "optimized scheduling" does! 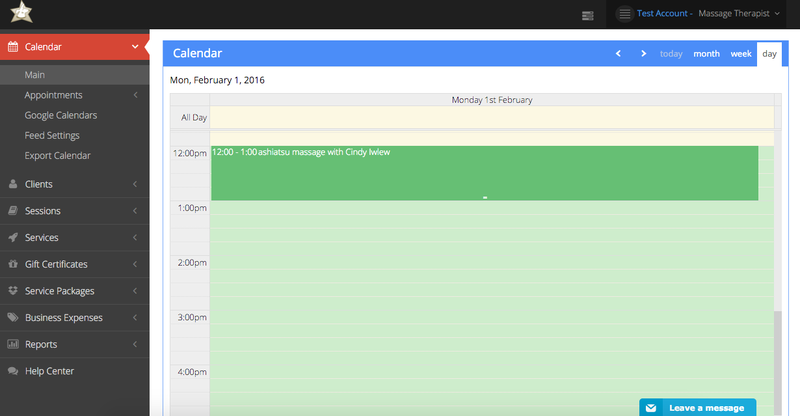 Optimized scheduling is an optional feature you can turn on or off at any time within Bodywork Buddy. 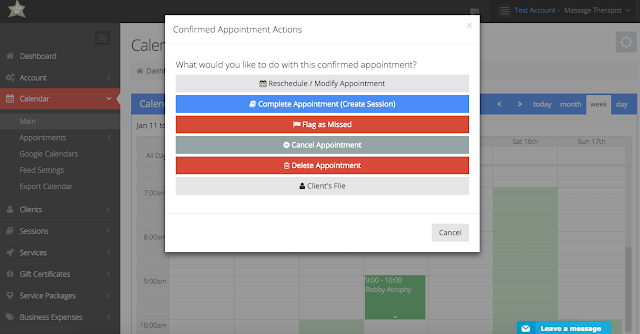 When it's selected, it will cluster your appointments together so that only openings before or after an existing appointment will be shown to clients booking online. Pretty cool, right? This is just one of the ways Bodywork Buddy can help you maintain control over your schedule and make your life easier. Want to try it out yourself? Signup for a free 15 day trial (no credit card required). 1. 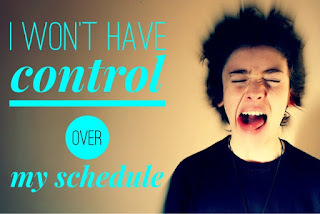 "I won't have control over my schedule." A lot of therapists have this fear that they will lose control of their schedule, clients will suddenly dictate their life with too much access to their book, there will be too many appointments, too close together, and chaos will ensue! Mary-Claire Fredette of Affinity Massage Studio in Cincinnati, Ohio says before she started using Bodywork Buddy, she was afraid that she would be at the grocery store buying ice cream when someone would schedule a massage. Her life would be ruined as the ice cream would melt info puddles as she massaged someone. It makes me laugh, but as a therapist myself, I can understand this concern! Luckily Bodywork Buddy has some key features that would prevent this from being an issue. Your clients request an appointment online from the openings shown, and you can then accept or decline the appointment request. (So it's not an automatic confirmed appointment until you accept it.) You're sent an email to notify you of the request, and it will also show within your BWB account on the dashboard and the calendar. 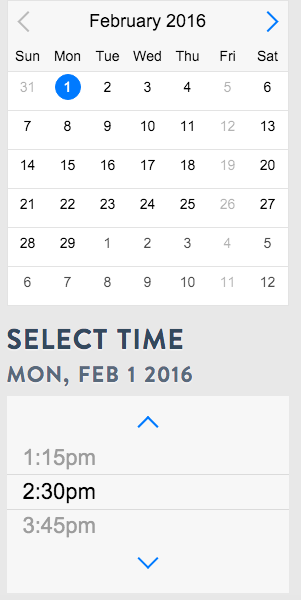 Stacked time slots versus interval time slots: BWB lets you choose how your openings are shown to clients. Do you want to show intervals of 10 minutes like 10:00, 10:10, 10:20 giving the client the most flexible options? (Interval options vary from 10-60 minutes.) Or only show them blocks of times like 10:00, 11:30, 1:00 giving YOU more control? It's up to you. 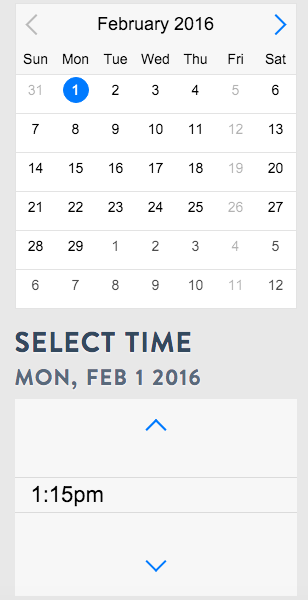 In your settings, you can choose to show openings to clients online ranging from immediately to 4 days out. So if today is Monday and you have 4 days set in your settings, clients will not see any openings in your calendar until Friday. 2. "It will become a double-booking nightmare." 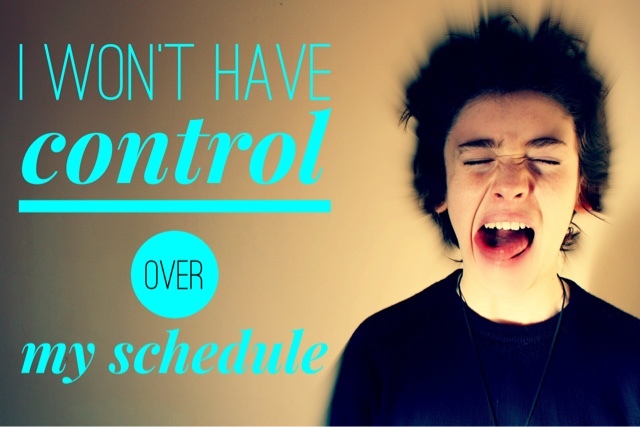 Do you worry that a client will schedule online at the same time that you're scheduling a client in the office? Once a client requests an appointment online, it will show in your calendar in orange so you know it's been requested. 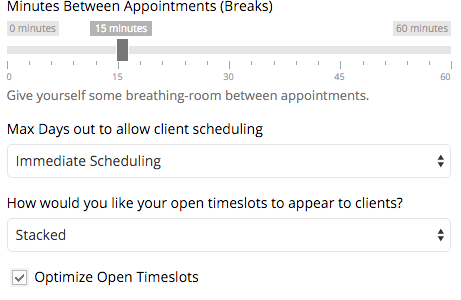 That time slot will not show as open to other clients unless you decline that request. When you're manually scheduling a client who is in your office or on the phone with you, it will instantly no longer be shown as an opening online. even see if/when they've opened them. 3. 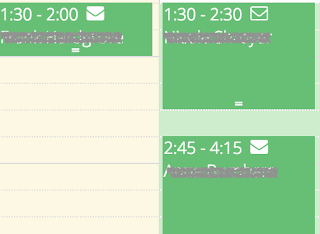 "The online scheduler won't work." Erin Howk of Therapeutic & Stress Reduction Massage in Fairmont, Minnesota says she had a fear that online scheduling wouldn't work and she'd have clients showing up that she didn't know were supposed to be there. There's a few things within BWB that prevent this from happening. When a client requests an appointment online and you accept it, it turns into a confirmed appointment (in green) in the calendar and the client gets an email letting them know the appointment has been confirmed / accepted. 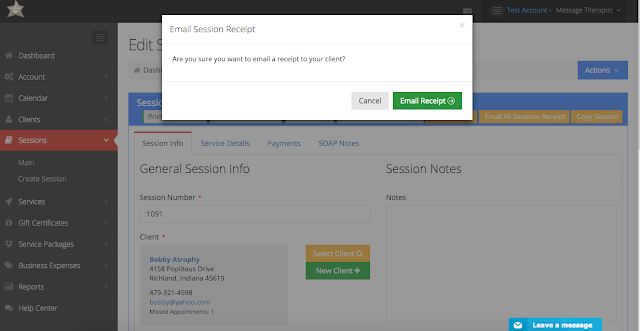 The client will then get an email reminder shortly before their appointment (you can customize the how many hours before their appointment this is sent out in your settings.) If you have SMS services enabled and the client has opted in, they will also receive a text reminder. If they don't have an appointment in the calendar, they will not get these confirmations and reminders. 4. "Nobody will use online scheduling and I'll still have to answer the phone and pay for a useless service." While some clients might take some time getting used to scheduling online, the majority of clients today want the convenience of online scheduling. Not only scheduling online, but from their phones and tablets! Studies have shown that mobile use has skyrocketed in recent years. Offering online scheduling that is mobile friendly will cut down on phone tag and make scheduling an appointment with you a breeze. I can't promise that you'll never have to answer the phone again, but it can make your life easier and save you time. 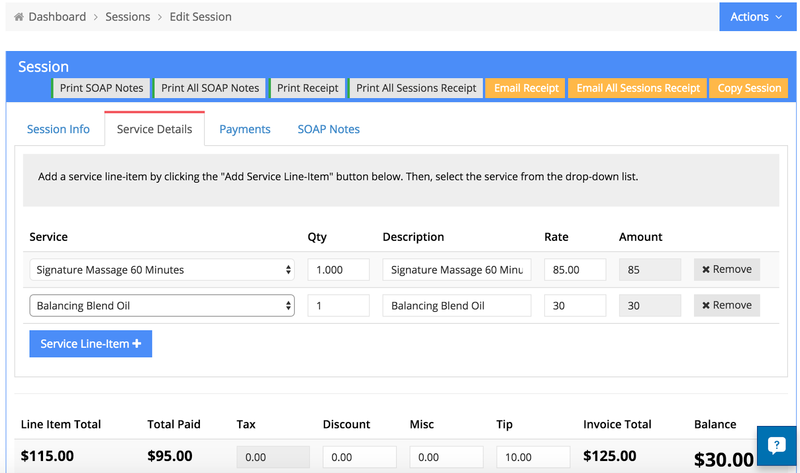 Bodywork Buddy makes it easy to send receipts to your massage clients! First, you'll want to make sure you have your email services enabled in your settings. Make sure you have an email address on file for your clients. 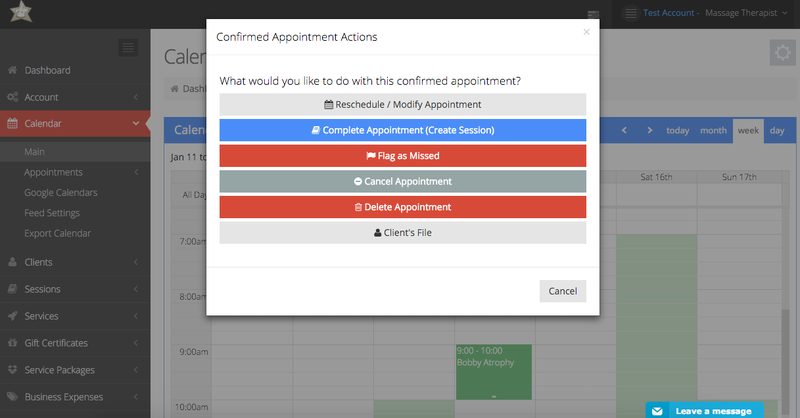 After their appointment, click into the green confirmed appointment in the calendar, and choose "complete appointment (create session)" from the popup window. 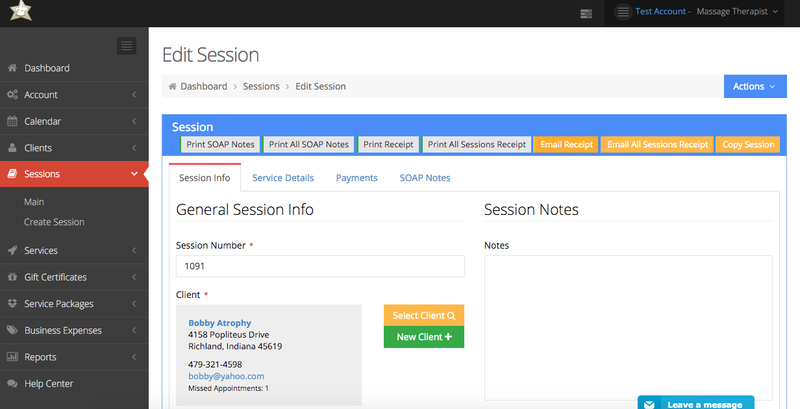 From within the session record, you can record payment info and other details including SOAP notes, etc. After you've filled out the details you want to record for the session, click "email receipt" along the top in orange. A popup window will ask if you're sure, click the green "email receipt" button. And it's done! Total time to email receipt to a client: 2 seconds. Want to see how Bodywork Buddy can make your life easier? Signup now for our free 15 day trial and get started in 2016 on the right foot - organized and saving time! "I am ever grateful for the high quality and super fast help I receive from this company!! Top notch all the way!" Thanks, Virginia! We love working with massage therapists. Read what other members have to say about Bodywork Buddy. Hope you're having a terrific start to the new year. Wishing you many happy clients as well as some table time for yourself in 2016.